"One of the many reasons why we at CIA find the celebration of entities like WikiLeaks to be both perplexing and deeply troubling...is because while we do our best to quietly collect information on those who pose very real threats to our country, individuals such as Julian Assange and Edward Snowden seek to use that information to make a name for themselves. As long as they make a splash, they care nothing about the lives they put at risk or the damage they cause to national security. WikiLeaks walks like a hostile intelligence service and talks like a hostile intelligence service." -They published the Guantanamo Bay 'Detainee Policies’: more than 100 classified or otherwise restricted files from the United States Department of Defense covering the rules and procedures for detainees in U.S. military custody. The release of these documents led to fundamental reforms that brought the United States back within the boundaries of human rights according to the Geneva Convention. How bad would the torture have gotten without this revelation in WikiLeaks? -On the 5th of April 2010, WikiLeaks released a classified US military video depicting the indiscriminate slaying of over a dozen people in the Iraqi suburb of New Baghdad -- including two Reuters news staff. The video-seen by tens of millions of YouTube viewers, "was shot from an Apache helicopter gun-sight, and it clearly shows the unprovoked slaying of a wounded Reuters employee and his rescuers. Two young children involved in the rescue were also seriously wounded." -"WikiLeaks opened up a corrupt multi-billion dollar war by Western and Chinese companies grabbing uranium and other mining rights in the Central African Republic (CAR). Among the hundreds of pages in this publication were detailed maps of mining rights, mining contracts with illegal kickbacks and secret investigative reports. In December 2015 a case was filed against Areva, alleging corruption related to the €1.8 billion purchase of three uranium mines in 2007." -And they reported how the Global Intelligence Files, over five million e-mails from the Texas headquartered "global intelligence" company Stratfor, "revealed the inner workings of a company that fronts as an intelligence publisher, but provided confidential intelligence services to large corporations, such as Bhopal's Dow Chemical Co., Lockheed Martin, Northrop Grumman, Raytheon and government agencies, including the US Department of Homeland Security, the US Marines and the US Defense Intelligence Agency. The emails show Stratfor's web of informers, pay-off structure, payment laundering techniques and psychological methods." "They do not care about the causes and people they claim to represent. If they did, they would focus instead on the autocratic regimes in this world that actually suppress free speech and dissent. Instead, they choose to exploit the legitimate secrets of democratic governments—which has, so far, proven to be a much safer approach than provoking a tyrant...No, Julian Assange and his kind are not the slightest bit interested in improving civil liberties or enhancing personal freedom. They have pretended that America’s First Amendment freedoms shield them from justice. They may have believed that, but they are wrong...Assange is a narcissist who has created nothing of value. He relies on the dirty work of others to make himself famous. He is a fraud—a coward hiding behind a screen." If Pompeo disagrees with Assange about the merits of uncensored journalism, then so be it. But to actively demean Assange's character, and to seek his head on a platter is too much. This vindictiveness was unbecoming as a Senator and it will be unbecoming as a Secretary of State. Like so many of his colleagues in Congress and the CIA, Pompeo's paranoid desire for secrecy should not be confused for patriotic foresight. 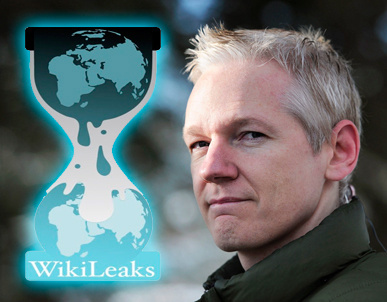 The bottom line is that his stance on WikiLeaks is guilt ridden and on the wrong side of history; it is a stance that has done nothing to combat injustice, spread democracy, or preserve human rights; it has only succeeded in making the United States look hypocritical and immoral.